Here in central Las Vegas, the weather can be unpredictable. Having functioning windshield wipers is pivotal to your safety on the road. Without them, your vision could be obstructed. This puts your safety and the safety of all others around you at risk. 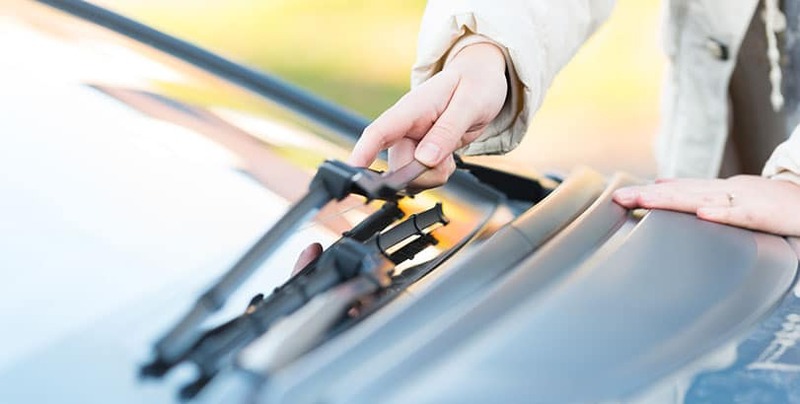 As a standard rule, you should replace your windshield wiper blades every six months to a year, or when you notice any decline in their performance. The Wiper Blades Show Signs of Wear – You inspect your wiper blades regularly for signs of wear. If you notice any tears, cracks, chips, or other nicks, it’s best to replace your wiper blades before they fail when you need them most. For drivers in places like Las Vegas, which is prone to extreme temperatures, damage like this is even more likely to occur. You Notice Streaks on the Windshield – The last thing you want is to be driving in rain or snow and be unable to see past the streaks or hazing left on your windshield by faulty wiper blades. If you start to notice this, it means your wipers may need to be cleaned or even replaced. You Often Hear Squeaking – Good windshield wipers shouldn’t make annoying sounds when they move back and forth across the glass. If you hear squeaking or chattering sounds, it means the blades are likely clogged with dirt and oil, or dried out by extreme temperatures. Blades in this condition will not clean your windshield evenly, as they will bounce up and down in certain areas as they move. Replacing your wiper blades is the most reliable way to solve this problem. Save yourself the headache of listening to them, and avoid unnecessary risks out on the road. For Nissan drivers in the Las Vegas area, United Nissan is here to make sure your windshield wipers are there for you when you need them. We offer Nissan certified wiper blades, designed specifically to fit your vehicle. When you shop with us, you can be confident your blades won’t break or snap off unexpectedly due to an ill fit or improper installation. If you would like to replace your blades yourself, but still want to make sure you have genuine OEM Nissan wiper inserts you can shop on our parts online, or by swinging by our dealership at a time that works for you. For those who would like assistance with installation, our Service Team is available to ensure everything is put together properly. Schedule an appointment or come by United Nissan today! We look forward to your visit.